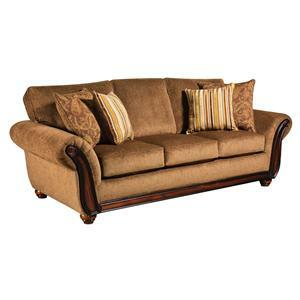 This traditional styled living room sofa will help you to create an elegant environment in your home. It features decorative wood face on the arms and turned bun feet, both of which are elements of classic furniture design. 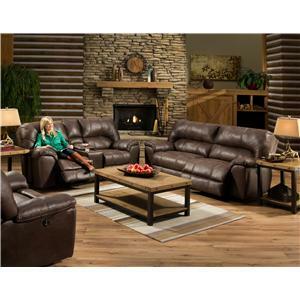 The rolled arms bring an additional accent of classic style to the sofa while plush seat and back cushions offer support and allow you to sink-into the padding a little bit. 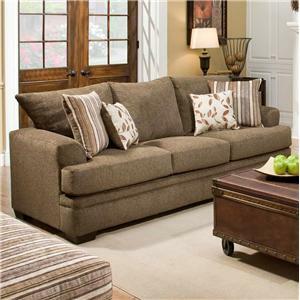 This sofa is complete with optional accent pillows that add style and comfort. 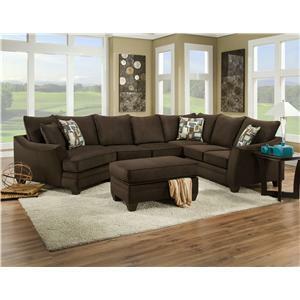 This sectional sofa will make a comfortable and casual addition to your living room or family room arrangement. 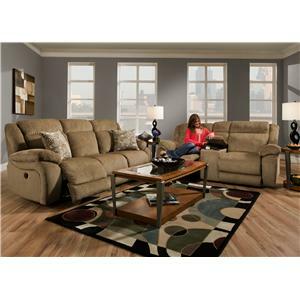 It is a made in America furniture item and features a price point that allows for comfort and affordability. The style is casual but a hint of contemporary design peeks through via the straight lines and minimalist style. 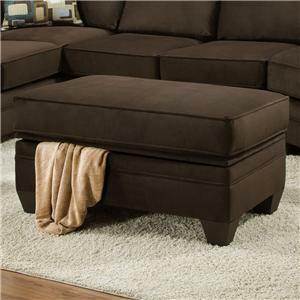 This large cocktail ottoman will add an element of elegant living to your room while also assisting you in creating an environment for relaxation. The piece features a large square ottoman shape and is ideal to use for resting your legs as well for holding snacks when a tray table is placed atop it. It features turned bun feet for a finishing detail. 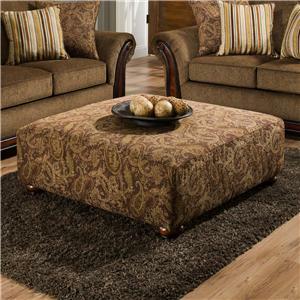 Use this piece with its coordinating furniture collection or pair it with existing traditional, classic and elegant styled pieces. 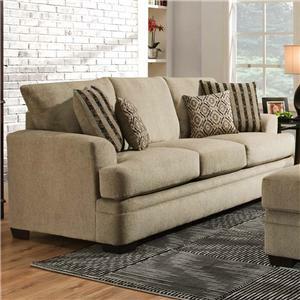 Like its matching three-seat sofa, this contemporary styled stationary loveseat will accent homes with a decorative design that is stylish and inviting. 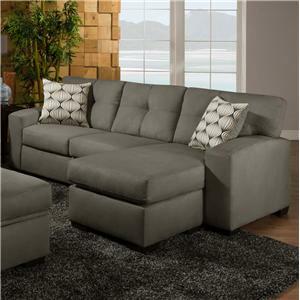 While thick box cushions and a plush pillow back make this small sofa a comfortable place to sit and relax, a contemporary style provides a fresh appearance. 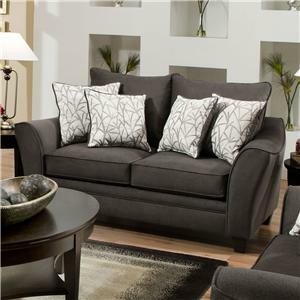 Tapered arms with a decorative flair cast modern style with a hint of luxury while welt cord trim adds a sophisticated finish.